Shi Lin had its branch in Podium for a while now and I’ve always been looking at it as I pass by wondering if it was the right time to come back. Its red logo and white letters give a sense of foreboding. 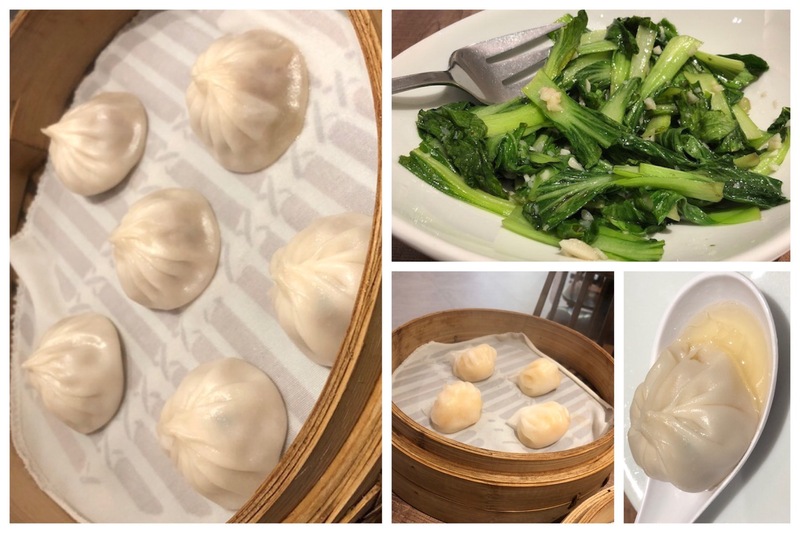 Xiao Long Bao and me, as you might have noticed, go way back. But that naive moment is so over and now, I feel like I’m a connoisseur of this dish already that I know what to do. Get one piece, place it on a spoon, pierce the wrapper gently, and let the broth flow, while measuring the ratio of soup to xlb with eagle eyes. I do this with precision I might as well get an award for it. I ordered the Original Xiao Long Bao and it came in its usual bamboo steamer. 6 steamed dumplings lie on the center of the steamer, like silent little suckers pretending to be good haha. We meet again! And so I took one and for the first time, put in on a spoon and did what I had to do. The volume of broth reached half of the soup spoon which isn’t so bad in xlb standards, but I’ve had better. The overall taste was delicate, no after taste, and I enjoyed putting chili oil and ginger on it. A word of warning to future customers, please check your condiments before dipping or pouring it in your food. I found an unwanted flying organism in mine which was quickly replaced by the servers. My next dish was the Hakaw. Steamed shrimp dumplings filled with sweet, shrimp goodness. I also ordered their Stirfry Bokchoy so I can have some veggies in my meal. They put a lot of garlic in it and I don’t think that should be the case. But I love garlic, don’t get me wrong. It’s just all I tasted was garlic, maybe they put in a tad too much. I didn’t hate the place, I liked the dishes they served, but I don’t think it will be fair to score it just for the fly on my condiments but it did put a dent on the restaurant’s cleanliness. The servers did their job, it’s just the condiments rack should be checked and cleaned, in my opinion. I think this is generous already but there, I lowered it again! Haha maybe I should stop now before the score becomes 0.